Every DAM user is sitting on a lot of on-brand assets. What if you could add a smart online layer for anyone to create on-brand marketing collateral? 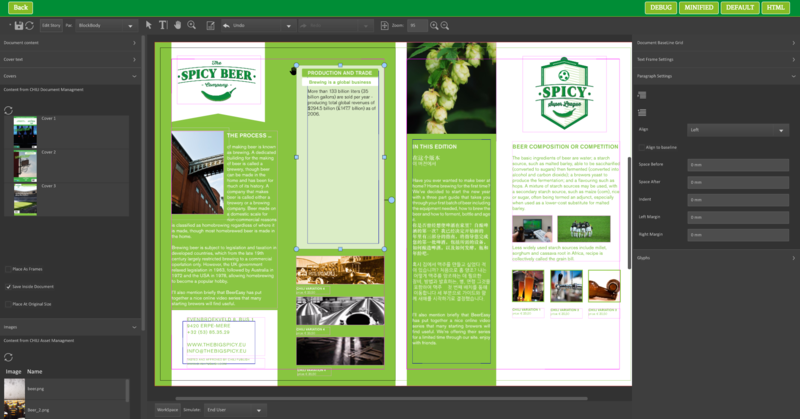 CHILI publisher, the Universal Graphics Engine, is the software that allows you to create smart marketing collateral. 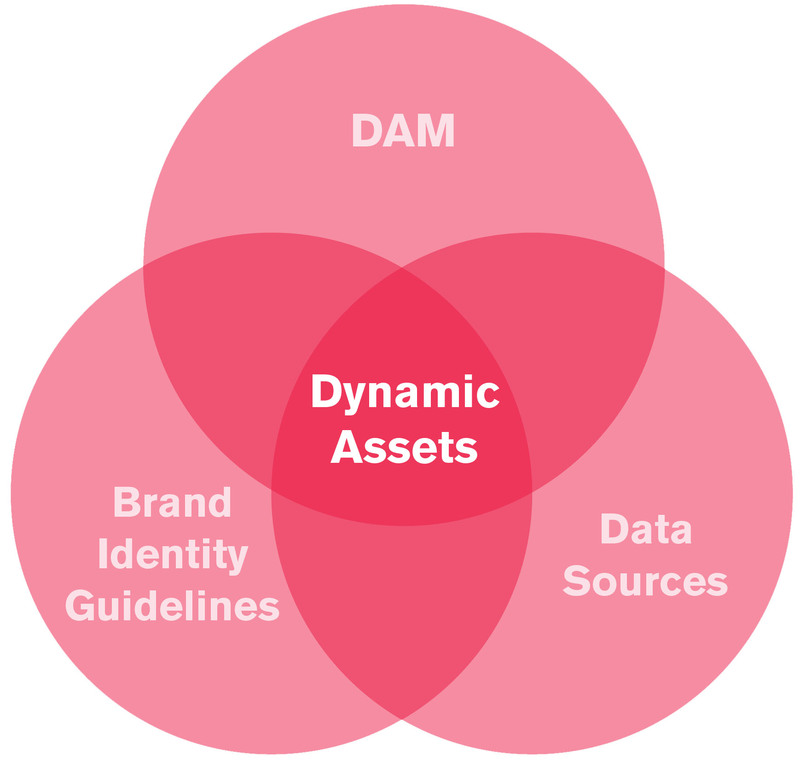 Its dynamic assets are intelligent templates that manage brand identity guidelines, use other assets in the DAM, and connect to multiple master data sources. Allow end-users to self-service. Dynamic Assets allow end-users to create customized, personalized and localized collateral, while providing built-in brand identity guidelines. Be certain the right DAM assets and metadata are used at the right time. Dynamic assets connect to your DAM and can use its assets and metadata seamlessly. Avoid content errors. 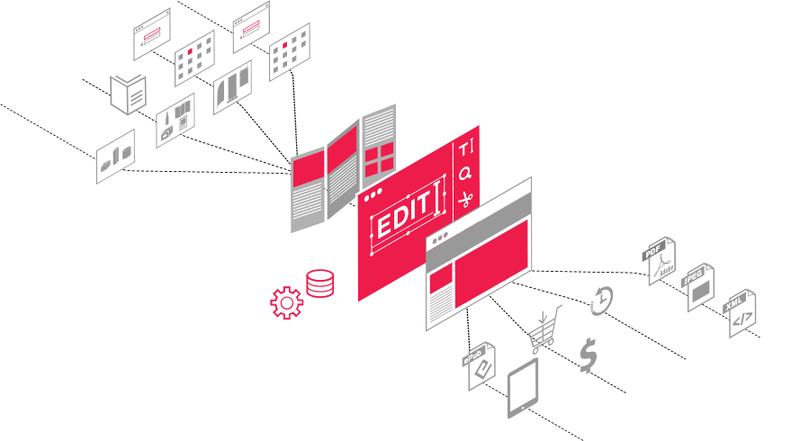 Dynamic assets can drastically reduce typo’s and other content errors, with robust connections to single-source-of-truth data in your PIM, ERP, CRM, etc. .
‘Got you thinking?’ Talk to us to find out more! CHILI publisher, the universal graphics engine, converts graphics to intelligent templates. Once created, users with a variety of skill sets - from beginners to seasoned graphics professionals - can edit these templates online. The output files can then be used for print, digital or social applications for any market. CHILI publisher ensures marketers can process, manage and repurpose graphic assets. 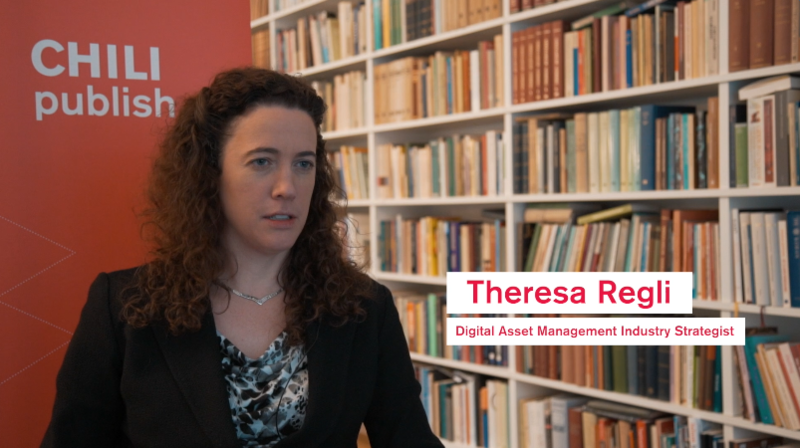 Elevate your marketing activities, that what’s Theresa Regli says. She assesses the current DAM landscape and how to rise above average by using the right tool combination. What good is all that data under your control if you don’t put it to good and proper use? Personalization, regionalization, customization - the possibilities are endless. CHILI publisher integrates with the greatest of ease with any DAM system. That’s how we generate ROI for brands. Centralize creative resources for your distributed marketing teams and let the #UGE provide them with tailored, omnichannel marketing communications around the world. Any time, any place. One central platform, all online. Go for CORE - Create Once, Repurpose Everywhere.